Colors play a very important role in logo design. They appeal to our subconscious senses and incite us in making decisions. It is a powerful non-verbal form of communication used by the designers. The psychologists have studied how people have been affected by colors for years and the correlation between emotional responses and colors, further driving home the point that picking the right color is vital in determining how a brand is viewed. Color psychology is a vital thing to consider while designing logos. As a logo design company, we thus always make sure to pick up the right color palette for a logo. Here we have illustrated the emotions that are invoked by some colors using the logos from the top brands as an example. Red is intense and represents the feelings of love, passion, aggression, danger, fire and blood. It is often used in logo designs for gripping the attention of the viewers. Logo designers use red color for making people hungry or raising one’s blood pressure. The logo of Red Bull, an energy drink, clearly depicts the right use of this red color by the designers. Blue represents loyalty, power, security, dignity, loyalty, authority and success. You will hardly find any person who doesn’t like a shade of blue. 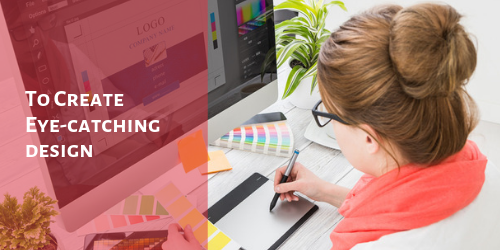 It is the most popular color when it comes to logo designing. The use of blue can be seen extensively in logos of the medical, government and fortune 500 companies. The logo of IBM is in blue color. The blue in IBM represents a company, which is non-threatening yet established and stable. Green is a soothing, restful, crisp and fresh color. It represents renewal, nature and health. However, it can even represent inexperience and jealousy. The logo of Animal Planet, the popular TV channel who’s programmes mainly revolve around animals and nature, has various shades of green. Yellow is associated with energy, joy, sunshine, warmth, positivity, caution, and curiosity. It is bright & is clearly visible. That is the reason why it’s often found on caution boards. The color is generally used to create warmth and happiness and get attention. McDonald’s logo is primarily yellow and that fits right for the brand as it focuses mainly on happiness, playfulness and children. The accent with red in the logo evokes hunger. The color combination of McDonald’s has influenced a lot of fast food chains. However, color psychology is no science and is greatly based on anecdotal evidence. It consists of culturally created ties, which may change over time as well as location. So, when designing a logo, always remember to consider the meaning of the colors you choose to use. Find more information on logo designs by staying connected to our blog!